This Viognier was plenty aromatic in the most pleasing of ways and extremely refreshing. A very small percentage of the wine (5%) sees time in oak barrels and this touch of wood adds extra depth and a smidge of welcome richness and texture. A quick spin on WineSearcher reveals the average price in the US is 9 bucks. Buy it by the case and make it your house white wine. I GIVE IT 103 POINTS ON THE FOREIGNER “HOT-BLOODED” FEVER SCALE. And while my first night in Richmond began at a Japanese restaurant, I was actually in town (on the cusp of Chinese New Year) for a media tour focusing on exploring regional cuisines of China. Stay tuned for tales of epic dim sum eating, a few good wines, new friends, and Underberg. Here’s my favorite bargain white wine from France. Is it a coincidence that there is a Bike on the label? I think not…. This is is calling you. Mmmm… I love a good inexpensive Viognier! Don’t know much about wine except that I love it (bet you hear that a lot)! This sounds really good – I’ll be on the lookout here in AZ! I’ll have to try this wine! I enjoy white wine occasionally but my husband hates it so I’ll just have more to myself 🙂 And who doesn’t love a good bottle under $10? 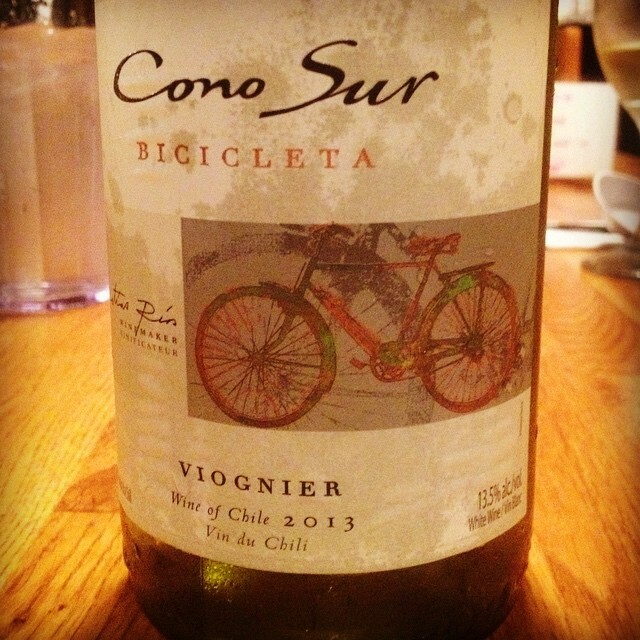 I’ve had other Cono Sur wines, and have really enjoyed them. I love, love, LOVE a good Viognier, too. Have to say, it’s my favorite white wine. Will have to give this one a try with some upcoming recipes, too! Thanks! I haven’t had the Pinot Noir in years but it was also really, really good for the money. Hi Jameson, Although I haven’t had this vintage, Ive been very please with it as well as all the Cono Sur wines. This is the winery I visited when I went to Chile. Wonderful experience. Their Carmenere wines are also delicious! In answer to the bicycle question above, the winery is working towards a zero carbon footprint. One of the things, they do is have all the vineyard workers ride bikes out to the vineyards to do their work. Visitors also have to ride the bikes to tour the vineyard, and I hadn’t been on a bike in 30 years!!! I still remembered, and didn’t fall over1 LOL It was fun, and that is why they put bicycles on the wine labels. Keep up the good work, my Friend. Thanks for commenting and sharing your experience at Cono Sur. I guess riding a bike really is like riding a bike! 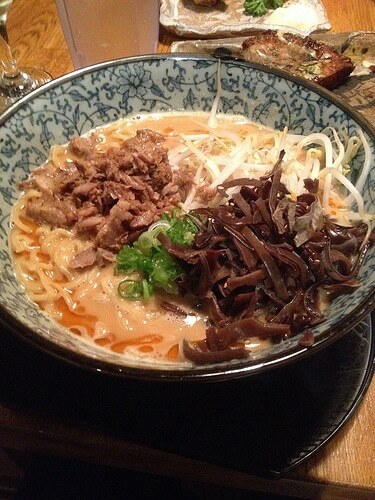 Next time I’m in Richmond I’ll definitely try this ramen place. Now onto search for this wine. Who doesn’t love a bottle of wine for under $10?